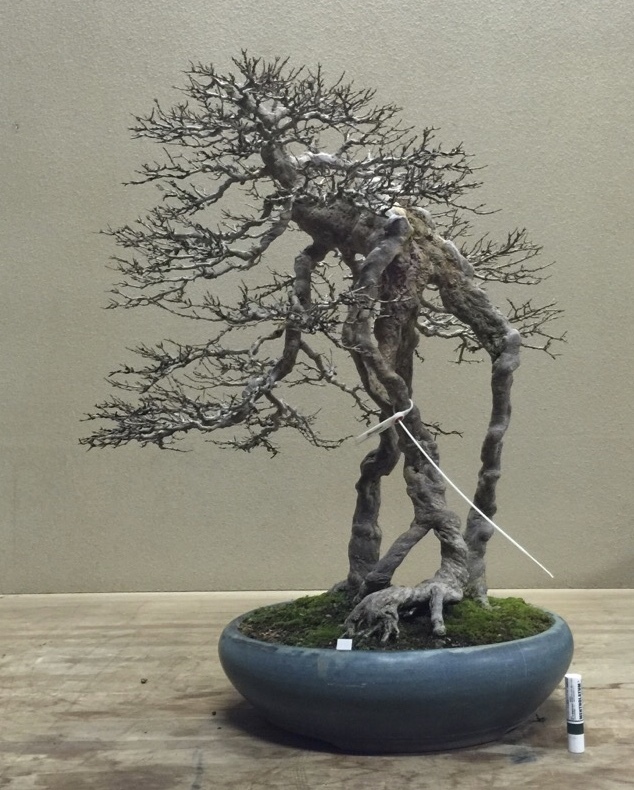 Over the year I have built up a reputation for giving informative and productive workshops where the emphasis is on understanding and improving trees rather than working a tree excessively to achieve a finished image in one day. This approach has led to repeated requests to return to groups across the UK, Europe and the US. 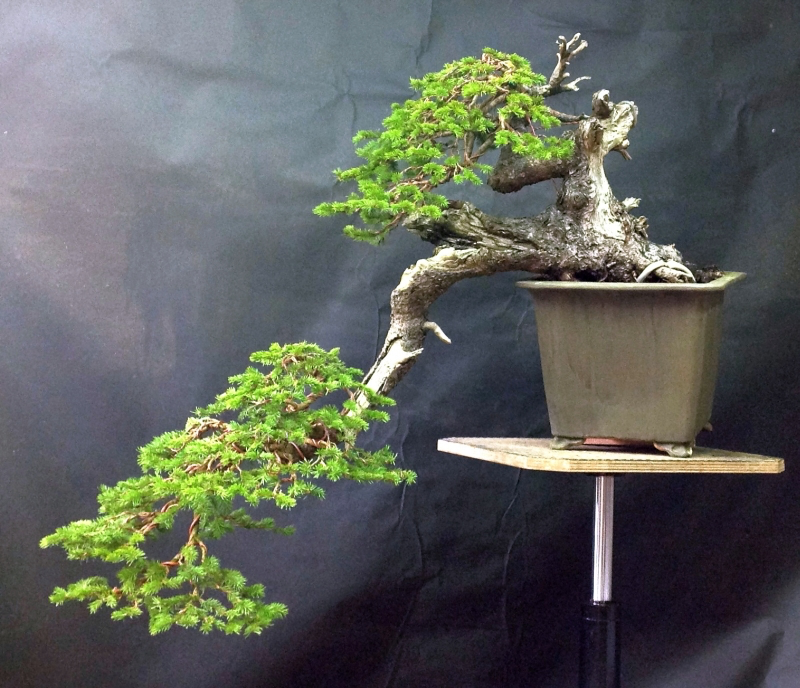 This is the ideal situation where the same trees can be worked upon time after time. If you are interested in setting up such a study group, then please contact us. I am able to work with a wide range of abilities and different species within one group, a teaching point can be found for even the most advanced workshop participants, even on the most basic material. Although a maximum number of participants is not set, the ideal number is six to eight for a day, slightly more for a weekend. Cost of workshops start from £400 plus expenses per day. Please contact for further information and availability. If you have a special tree that you would like to be professionally styled then please contact us. 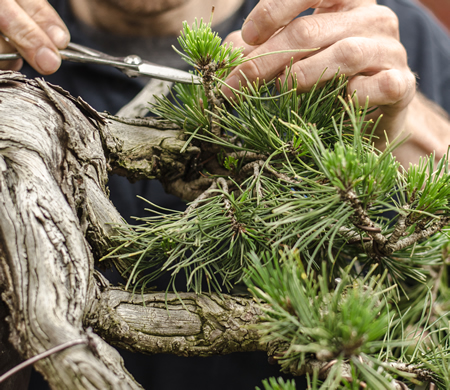 A comprehensive service is available covering everything bonsai related, including pruning, transplanting, grafting and wiring. Trees can be brought to the garden or I can collect and return at your convenience. All styling decisions will be discussed before any work is done and any major changes are done with consent. Price varies on amount of work required, transportation and cost of wire etc. Please contact for more details. 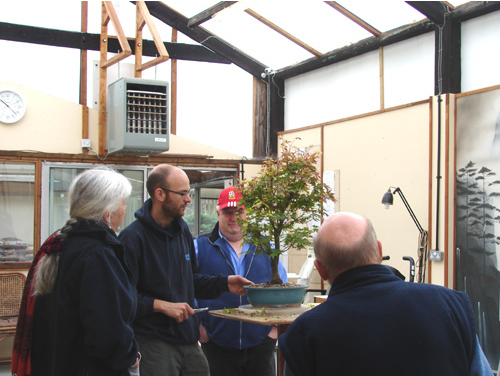 Although the workshop model is an efficient entry point into improving your bonsai knowledge and trees, for many people, particularly advanced enthusiasts, this does not work and the require a more personal, one to one approach. This type of teaching and maintenance is the main focus of my work and has resulted in the improvement of many enthusiasts and collections throughout the world. Working with clients on a regular, three or four times a year basis and on a semi regular basis with others, has reaped benefits for all involved. Working on trees in situ allows for low risk, step by step improvement towards a mutually agreed goal and reduces the potential for misunderstanding or damage in transit. 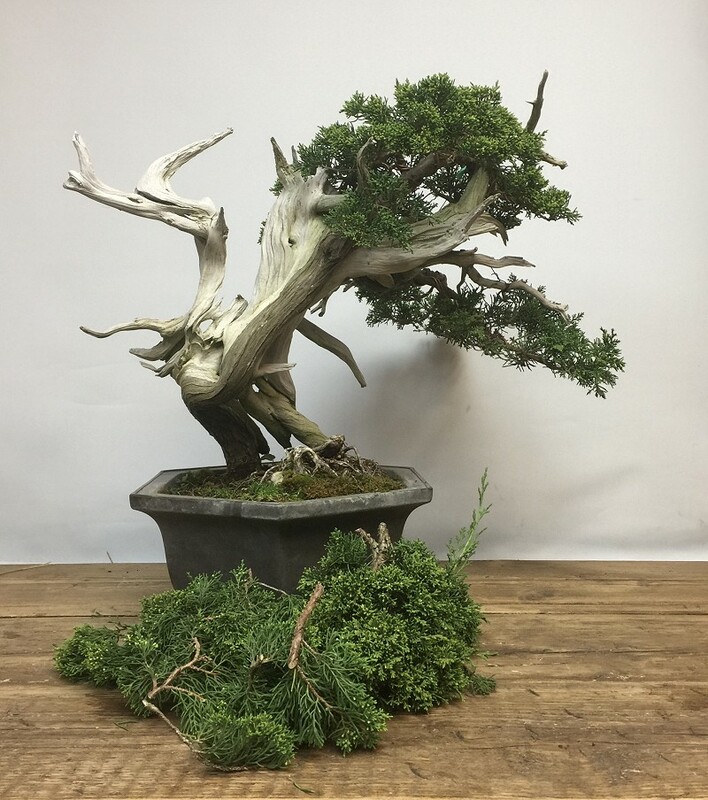 Due to the nature of such a personal and bespoke service, some clients choose not to work on their trees and leave all decisions and work to me, whereas others want to work themselves under close guidance, the choice is entirely yours. Privacy will be respected at all times and discretion is assured for those who wish to keep their trees private. Prices start from £350 per full day plus expenses, discounts for longer periods possible. Please contact for more details. 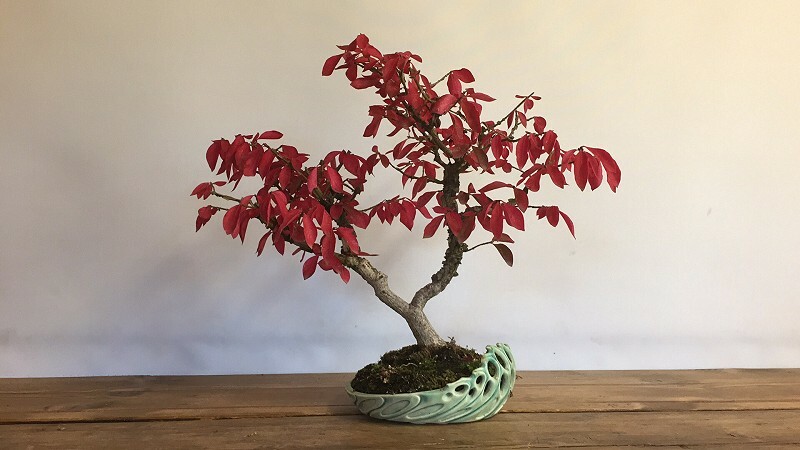 If you are looking for that special tree, pot or anything bonsai related and just cannot find it through normal channels, then please get in contact and we can utilise our expansive network of bonsai professionals across the world to find exactly what you are looking for. For tree imports there are certain phytosanitary restrictions that apply across the world that must be considered, so please ask for advice and guidance on this. It must be understood from the outset that this adds extra cost, time and risk to the importation process. We have experience and well established legal routes of importing into the EU and the United States. 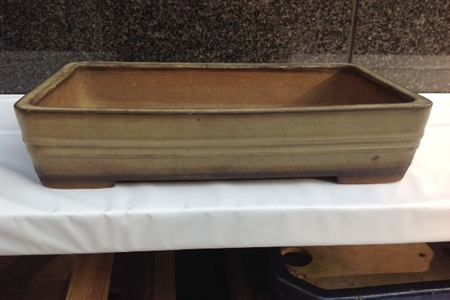 If you are looking for a special pot, particularly antique Japanese and Chinese, please contact with details of size, style and approximate price range. 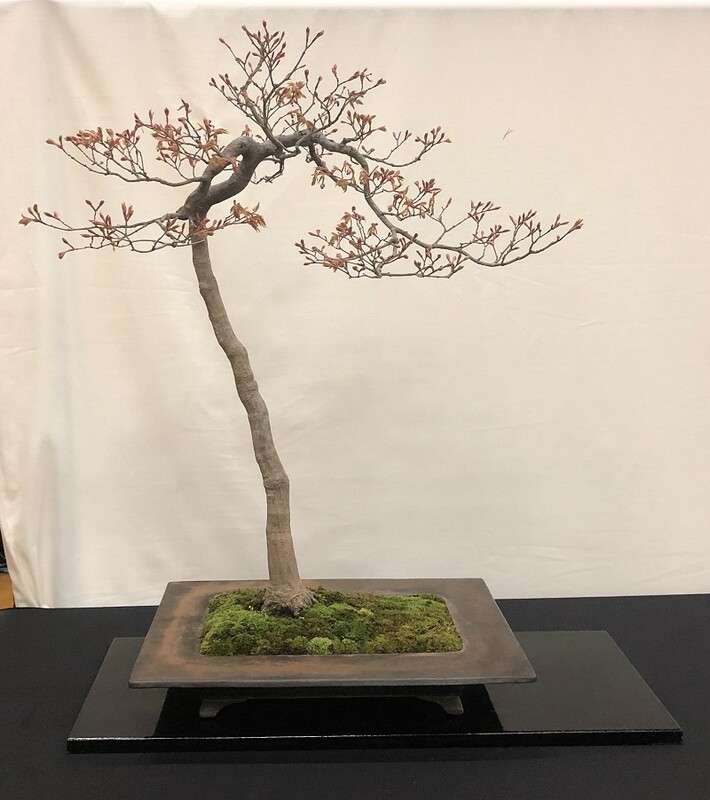 We offer a bonsai rental and display service for those who want a special tree for an occasion or event, but do not have the capability of caring for a tree year round. Due to the nature of such a service, there are many details that need to be considered for a price so please contact us to discuss your requirements.